On this site is it information about scouting and contact information to our scout group! There also some fun facts on the right side of the page! YWCA-YMCA Guides and Scouts spend much time in the outdoors all year round, in all types of weather. We explore the Norwegian wilderness on foot, on skis and in canoes, and get to know both plants and animals. Guides and Scouts learn how to use a map and compass and how to cook on an open fire. The challenges grow with our members, from simple outdoor activities to mountain climbing and glacier walking. As a Guide or Scout, you will certainly make lots of new friends, both in Norway and abroad. Our organization has more than 350 local groups spread throughout the country, and through our membership in four international organizations (WAGGGS, WOSM, YMCA and YWCA) we are closely connected to the international Scouting movement. 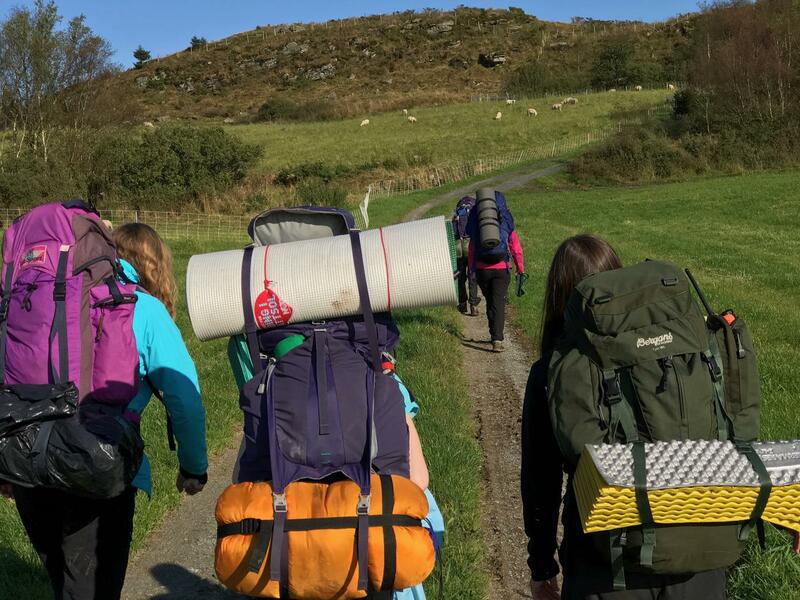 The YWCA-YMCA Guides and Scouts of Norway strive to create a warm and inclusive Christian environment, and to provide activities where children and young men and women can meet God in the company of Christian leaders and friends. At the local level, we cooperate closely with congregations of the Church of Norway. The YWCA-YMCA Guides and Scouts of Norway aim to help young people develop both physically, mentally and spiritually. The Guiding and Scouting activities provide leadership training with gradually increasing responsibilities in close relation to both nature and other human beings. Gand scoutgroup is located in Sandnes in Rogaland. We have approximately 100 members in all ages! Are you interessed in joining, send an e-mail to gruppeleder@gandspeiderne.no! There are between 50 and 60 million scouts across the world! The YWCA-YMCA Guides and Scouts of Norway are members of four of the biggest youth organisations in the world. In the scout movement are young people given leadership roals in very early age. Many world leaders have started their leader careers in scouts, for example the Norwegian prime minister Erna Solberg. In scouts can you learn how to build structures out of woods and ropes, paddle canoe, climbing, playing, cooking on the bonfire and sleeping out in nature with good friends. In scouts can young people go on patrol courses, snow cave tours, scout camps and many other exciting events!